While spending countless hours laying on my couch during my twin pregnancy, my fears would sometimes get the best of me. 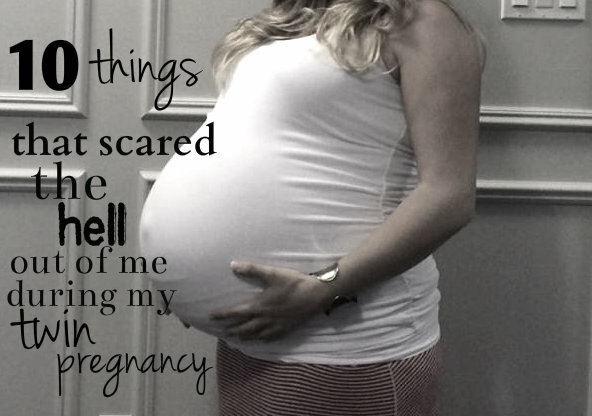 Being pregnant can be a scary experience. But growing two babies at once brought my worrying to a whole new level. 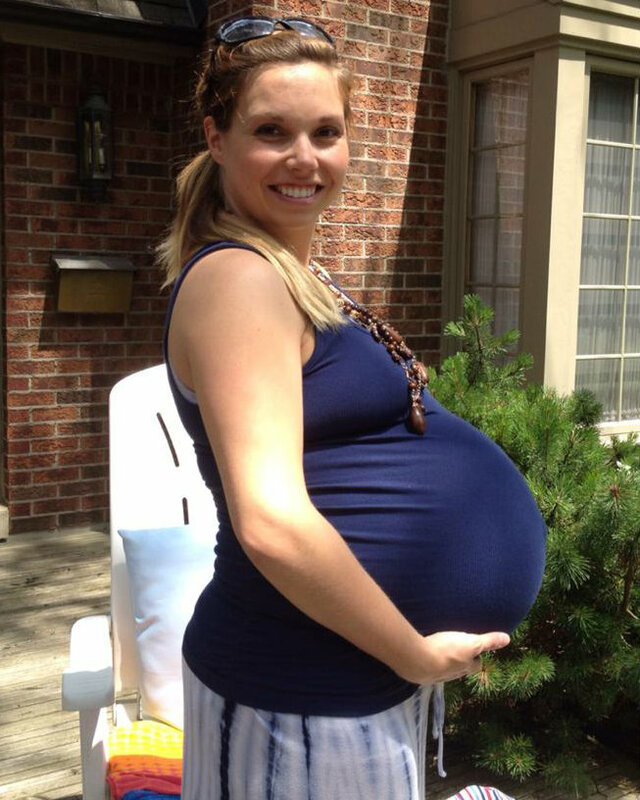 Here are the top ten things that scared the hell out of me during my twin pregnancy. 1. How big I was going to get. I already knew how my 5’2″ frame carried one baby at at time, since I already had two children, but two babies? This was something I had a hard time wrapping my mind around at the beginning of my twin pregnancy. 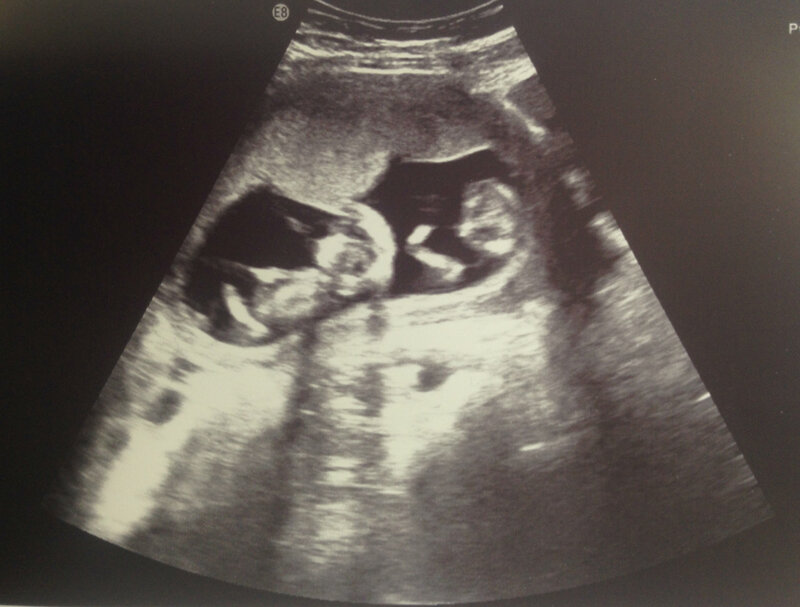 I would go online and search photos of twin bellies, trying to figure out how my body would cope. I was so scared about the weight I would be hauling around near the end and what kind of pain that would involve. In the end I did get big, really big. I was very high and low all at once. The weight was incredible, but I somehow managed each day, with the use of a maternity belt, staying off my feet and soaking in the bath. 2. How having twins would change my relationships. While pregnant, I felt this shift. I didn’t really know anyone at the time with twins and would look around at all of the faces of people who loved me and cared about me thinking, “no one here really gets this.” I worried about how the help I was receiving from family would would impact our relationships, and wondered if they would start to resent me. I worried about the relationship I had with my two children and if they would feel jilted by the two newest members. I was worried what the stress would do to my marriage. In the end my friends got on board and really helped when possible. Once I was able to establish some independence with taking care of my kids, I one by one thanked family members for their help, but let them know I could take it from here. I so desperately wanted to be captain of my own ship. The first weeks were a little rough and emotional, trying to make sure all four of my kid’s got the attention they needed. They amaze me everyday, by how in love they are with the babies. Then there is my marriage. It takes work, but we have been able to do it. I would be lying if I were to say we don’t fight. We are learning along the way to make deliberate date nights at home after the kids are in bed, to listen better, to give each other breaks and remember to have fun! 3. Twin logistics. The type A person in me would spend a ridiculous amount of time playing out scenarios in my head, wondering: how will I tandem nurse on my own? How will I bath both babies? How will I get both babies out the door? And so on. I read books, watched You Tube videos and set the scene. All of that research and preparation has paid off in a big way. I have and will continue to keep sharing all of my how to’s with you! 4. Showering. At around 28 weeks during my twin pregnancy, little tasks started to become very complicated. I had very low blood pressure, so standing for any length of time would make me feel woozy and I’d start to black out. Showering scared the hell out of me. Eventually I just started to sit on the floor of the shower and do the best job I could. Whenever I tell people about this they look at me and ask, “why didn’t you get a shower bench?” I don’t know. Laziness probably. “Why didn’t you just take baths?” I don’t have hair, I have a mane that requires washing every fourth day in the shower. “Ew, you sat on the shower floor?” I am not an animal, it is cleaned regularly. 5. If my babies would be healthy. I am pretty sure any person who has ever created life inside their body understands this feeling. 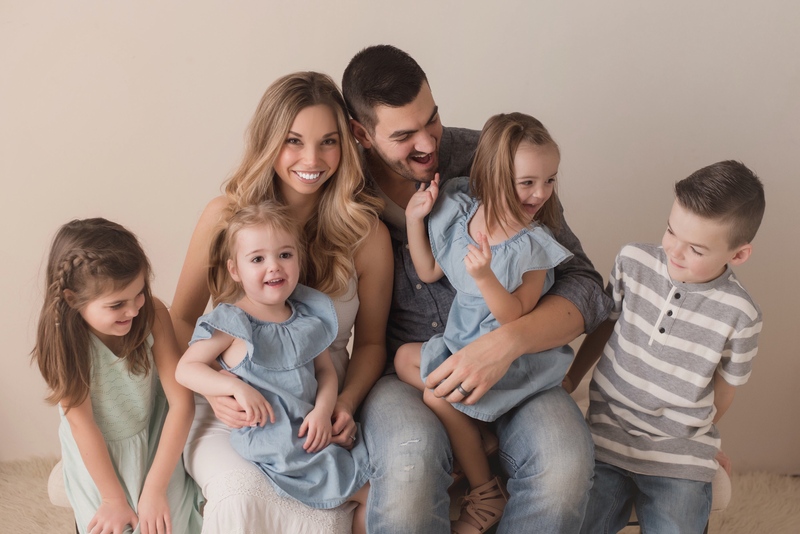 I was worried about the health of my babies with my first two pregnancies as well. But when you are having constant ultrasounds your mind starts to play tricks on you. I would get myself worked up for the two days leading up to each ultrasound, then have a sigh of relief once I was reassured everything was fine. I did have two minor complications with my pregnancies, and experienced the stress that followed. But it all worked out in the end. My advice: as much as you can, try to put those thoughts out of your mind and stay off the internet. For the most part, it is out of your hands. No amount of anxiety or worrying will lessen the chances. In fact, letting yourself get into a panic does not create the best environment for your baby. Talk about your fears with loved ones and your doctor. 6. The thought of how much sleep I was going to lose once my twins arrived. Every night, as I was going to bed before each of my three pregnancies, this fear would take hold of me. I would start thinking about how tired I was and that my nights of uninterrupted sleep, (even though the quality was never that good when pregnant), were numbered. By morning that fear would be gone. I eventually learned to tell myself, when those thoughts would arrive each evening, “put those thoughts out of your head, you will feel different in the morning.” Yes, I always lost a significant amount of sleep during the first few weeks with each baby, but here is a comforting thought; you will sleep again. You will fall into a routine and one night you will go to sleep and wake up after a much longer stretch than you anticipated. All babies and toddlers go through sleep regressions and rough patches, but sleep will surprise you when you are least expecting it. 7. Money. During my first two pregnancies, I was very particular about getting new items for my babies. But once I found out I was having twins, I suddenly became very frugal. I chose the new items I needed to buy and found them online at the lowest possible price. I bought second hand decor and furniture. I repurposed items. I got crafty and created decor and art items. We also hosted a diaper party for ourselves. Since these weren’t my first babies, I knew I wasn’t going to be thrown a big blowout baby shower. So my husband and I took it into our own hands. We started planning, (along with our mothers), a big BBQ for family and friends. Each person who arrived was to bring one box of diapers. The event was a huge success and helped ease the cost when our twins arrived. 8. Driving. As my tummy grew, I found it increasingly hard to fit comfortably behind the wheel. Although we tried to shop for a new car while I was pregnant, I had to put the search on hold because I was so miserable trying to figure out if I was comfortable behind the wheel of all of the different vans and SUVS. By 36 weeks, I started to have some scares while driving where I would get tunnel vision. I stopped driving myself anywhere for those last couple of weeks and relied on friends and family to drive me to my appointments. 9. If my twins would come early. It is very common for twins to be born premature, so understandably this was on my mind. Although there were days when I felt done, I knew I had to keep them in me for as long as possible. I did what I could including staying off my feet as much as possible and was able to make it to my scheduled C-section date of 37 weeks, 4 days. It was touch and go at times and often circumstances can take take this out of your hands during twin pregnancies. Anytime I would suspect that something felt off, or that one of my girls wasn’t kicking as much as I liked, I would rush to the hospital to be checked. Better safe than sorry. 10. The delivery. With my first two children I had very fast, easy and textbook vaginal deliveries. Because of this, my OB and I were really hoping I could have my twins vaginally. All we needed was baby A to be head down and we were good to go. Unfortunately after weeks of flipping around in there, baby A plugged the exit with her bum and baby B took residence in the most odd position that any of my ultrasound technicians had seen. She curled up just under my left ribs. By 34 weeks the final decision was made that I would be having a C-section. It took me a while to wrap my mind around this news, but eventually I found peace with it. I asked my friends who had experienced a C-section every detail about the process. Although nothing could have fully prepared me for the delivery of my twins, actually watching these two perfect little humans arrive was magical and made all of the worrying and stress during my pregnancy worth every second! I’m 19 weeks pregnant just now and feel the exact same as you did – thank you for sharing. Thank you for this post!!!!!!!!! I am due with twins in October and I was feeling a little guilty for a lot of the “selfish” worries I have been having. At 10 weeks i’m already a little freaked out about how big I am. I’m not big but I feel like I blew up over night. I have always been smaller so coming to terms with it is a little difficult for me. I am relieved to know that I am not the only one to worry about this!!!! And everything else is 100% on point!!!!! Thank you, thank you, thank you!!! I think I’m having twins.. I need help please. Thank you for writing this blog i am 12wks with fraternal twins and i have been a bundle of nerves from the beginning as this pregnancy have been totally different to my first 2.
i sat her crying when i read of your anxiety over the lead up to your ultrasounds as i feel the same and ultrasound for me are horrible as with my first born that is where we found out she had potter syndrome and we would have to be induced at 20wks and she would not survive. i am trying so hard to not think that things will go wrong but know they can in the blink of an eye. Thankyou again for your blogs with the tips and advice you give it is giving me a positive outlook on my twin pregnancy and stops we worrying about things i can not control. This was great. Currently 32 weeks pregnant with twins. Thanks so much for sharing! Awesome read, I’m 26 weeks with my twins and my first pregnancy and you nailed every fear. Thank you. Thank you so much for this, I am 28 weeks and 5 days. And I am so overwhelmed. Just found out yesterday I am pregnant with twins and shock is an understatement. OTHER moms have twins. Not me. I even said to our Ultrasound technician “Haha! That’s funny. Why does it look like there are 2 sacs?” I knew good and well there weren’t. After she repeated herself over and over to my husband and I, we realized there are 2 sacs because there are 2 babies. Ohhhh! Well we thought we just ordered one so we are still in shock but feel so blessed. This is such a great read. Someone so honest and sharing the facts. You do feel alone but reading this and other’s comments has eased my mind. Previous Previous post: School’s Out For Summer!